I was chatting with a student when I noticed she had a pink bracelet. She went on to share with me that a dear friend of hers, Brooke, had just passed away. The student had made their hiking group bracelets and then went to Brooke’s favorite hiking spot–to pray, meditate, and remember her. 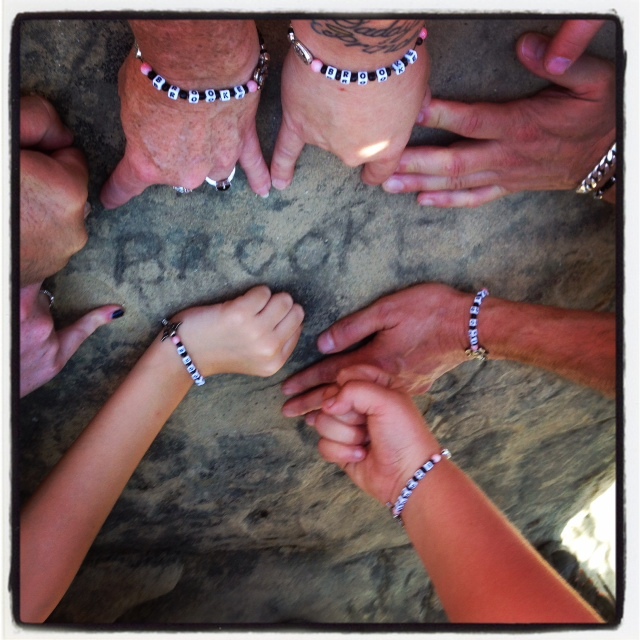 The group photo shows the hiking group wearing their memorial bracelets. I am always touched and blessed by the amazing ways people honor those their deceased loved ones. Whether the loved one is friend, family, or colleague those of us who miss them want to honor them and connect with them. I have been collecting various ways that is done. 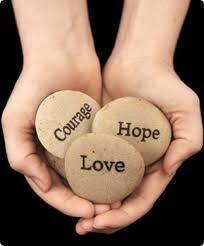 I think part of the reason, is I want to find a way to memorialize my sister. I have included a picture of my SISTER bracelet, that is the exact match of hers. I had purchased them many years ago. When Debbie passed away, I retrieved hers to keep. I still wear mine at times. I also have been collecting charms that remind me of her. She was cowgirl and loved her cowboy boots–so when I was looking at various charms–I had to have this one. I hope you enjoy a few ways I have discovered. 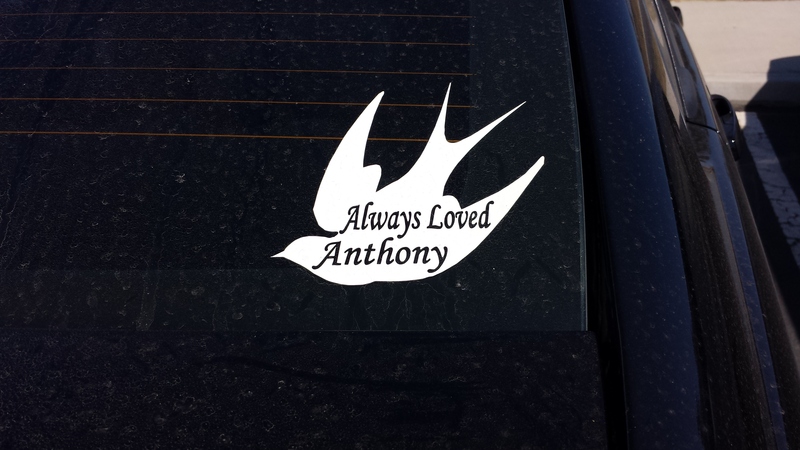 I included a thoughtful way to share your love and loss with others–a memorial sticker.